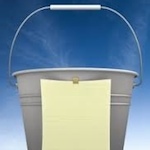 One popular concept today is creating a bucket list of things to do throughout life. Some of the activities may be quite grand and expensive adventures, while others are fun, simple things. This bucket list tends to gain importance in the later years. Jason Hartman is joined by Donald Vaughan, co-author of 500 Things to Do Before You Kick the Bucket to share practical examples and suggestions for fun and/or life changing opportunities that the average person can do. Donald talks about some out-of-the-box types of activities, such as training a squirrel to take a peanut out of your hand, and he gives examples of travel adventures designed to help people have a more worldview. He reminds us that life is finite and that a bucket list is a life-long endeavor, starting in childhood. The books offers an extensive list of interesting and unique ideas, such as writing a family history, visiting the North Pole, or even observing your piece of the world from the vantage point of your roof, skipping down the street, hosting a ‘70s party, or even climbing a tree with your children. Donald encourages everyone to have fun, don’t be afraid to make fun of yourself, and make that bucket-list now. Turn it into a family endeavor and make the time. Don Vaughan has made his living with words for 35 years, and has worked as a full-time freelance writing for 21 years. He has published more than 1,700 articles in an eclectic array of markets, including Nursing Spectrum, Cure Magazine, Cat Fancy, Military Officer Magazine, Writer’s Digest and MAD Magazine, and has written, co-written, ghosted or contributed to 35 books on topics ranging from the Civil War to American festivals. He lives in Raleigh, North Carolina with his wife, Nanette. More about Donald can be found at: http://www.donaldvaughan.net/.